In New York, the experienced art thief, Keith Ripley, invites the bold thief from Miami, Gabriel Martin, to team up with him. He plans the heist of two valuable mysterious antique Faberge eggs, located in a safe, of the well protected Russian jewelry Romanov. 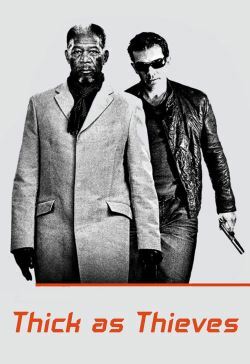 Each egg is worth twenty million dollars on the black market, and Ripley needs his cut to free himself from his debt to a powerful mobster, known as Nicky. The reluctant Gabriel agrees to participate, after having a one night stand with Ripley's goddaughter Alexandra Karolin. Meanwhile, the persistent Lieutenant Weber, who has unsuccessfully tried to put Ripley in jail for twenty years, figures out how to anticipate the movements of the criminal in order to catch him.